"Country Crossing" is a proposed big time development approved for my county. A small part of the development includes "charitable bingo." Local pastors, so far all Southern Baptist, are up in arms. A press conference was called by a local businessman and a group of pastors for 9:30 this morning, but so far not one media outlet has posted anything about it. Word on the street is they want to file a lawsuit to stop the bingo portion of Country Crossing. A great article was published by one local TV station this morning. I'm posting the whole article here because I think it represents an honest look at the issue. Check WDHN at http://www.dothanfirst.com/ for more information. Is Gambling A Bad Bet? Several pastors have taken a stand against electronic bingo in Houston County. Commissioners recently approved the games at Country Crossing, a resort now in the planning stages. "If you look at the places that have legalized gambling there's always a great fallout of what it does to the family," said Jerry Grandstaff. Serving as director of the Columbia Baptist Association, Grandstaff cites the toll on family finances. However, it's hard to validate or dispute Grandstaff's contentions because most states now have some form of legalized gambling. Bankruptcy statistics from 2006 show Indiana with the highest rate of bankruptcies at 701 per 100,000 people in the state. Indiana has a limited number of casinos along waterfronts and legalized horse racing. Tennessee has the second highest bankruptcy rate with 668 per 100,000. While Tennessee has no casinos, Mississippi and its casinos are a short drive for those who live in the western portion of the state. However, there is no indication the bankruptcy rate is higher in that area of Tennessee. The state also has a lottery. Mississippi was ranked 14th in 2006 in the number of bankruptcies based on population. Among the states with the lowest rates were Arizona, California, Connecticut, and New Mexico, all of which have casinos and other forms of legalized gambling. Ricky Plummer, pastor of Bethel Baptist Church, paints an even bleaker picture regarding the potential effects of gambling in Houston County. He claims states with legalized gambling are the most dangerous states, and have the highest rate of divorce, suicides, prostitution, and the number of women killed by men. The latest statistics show Nevada does have the highest divorce rate but there's little evidence the rate is linked to legalized gambling. New Jersey and Connecticut, both with casinos, are among the state's with the lowest divorce rate. There is also no evidence that suicides are more likely in states with gambling. It is hard to draw any conclusions of the effects of gambling on issues such as crime, suicide, divorce and financial difficulty. That's because nine out of ten states now have some form of legalized gambling. Additionally, illegal gambling accounts for billions of dollars. Online casinos and poker rooms have seen business dwindle since a law was passed in 2006 making it more difficult for U.S. customers to fund gambling accounts. However, some of the online wagering sites have found innovative ways to work around those regulations. Bookmakers also thrive, especially during football season and March Madness. Because most operate illegally, it's hard to put a figure on how much money they handle. 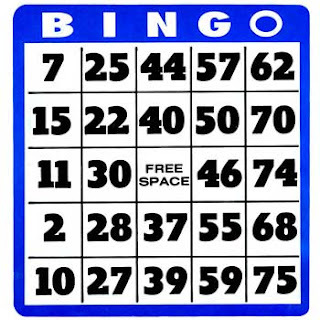 Nobody can predict how electronic bingo would affect Houston County. Proponents could argue there is plenty of gambling already available in the area. That would be difficult to argue. Victoryland is a short drive and has more gaming machines than most Nevada casinos. Ebro Greyhound Park, which offers dog racing and poker, is barely an hour's drive from Dothan.. And full-fledged casino gambling is four hours away in Biloxi. There are also Indian casinos in Alabama including one under construction just north of Montgomery. It will bear the name Harrah's, one of the largest gaming companies in the country. County Commission Chairman Mark Culver said the electronic bingo planned for Country Crossing is for the benefit of charity. In reality, all legalized gambling is for the benefit of charity or education. Culver has refrained from using the word "gambling". However, when a patron puts money into a machine that pays back less than it takes in and occasionally pays a jackpot...it's gambling. It appears many people support the bingo plan. A recent poll on this web site showed over 80 percent of those who voted favor electronic bingo. But the fight for Culver, the commission, and Country Crossing developers will likely come from the others. Several groups are considering filing a lawsuit to stop the electronic bingo.